From 1 to 30 April 2018, the United Nations Support Mission in Libya (UNSMIL) documented 31 civilian casualties – four deaths and 27 injuries – during the conduct of hostilities across Libya, a UN human rights report on civilian casualties in Libya reported. The report released yesterday said that victims included three men and one boy killed and 19 men, five women, two boys and one girl injured. The majority of civilian casualties were caused by shelling (one death and 13 injuries), followed by gunfire (one death and 8 injuries), explosive remnants of war (ERW) (one death and three injuries), and vehicle-borne improvised explosive devices (VBIED) (one death and three injuries). 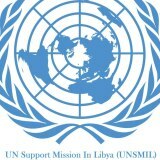 UNSMIL documented, one death and 18 injuries in Sabha and three deaths and nine injuries in Benghazi. UNSMIL also documented 21 additional casualties (10 deaths, 11 injuries) from other possible violations of international humanitarian law and violations or abuses of international human rights law in Ajdabiya, al-Zawiya, Benghazi, Kufra, Misrata, Tripoli, Sabha and Surman. Renewed armed clashes in Sabha between forces affiliated to the Awlad Suleiman tribe, including the 6thBrigade armed group, and those affiliated with the Tebu tribal forces left one civilian dead and 18 other civilians injured. Victims included civilians from Arab, Tebu and Touareg origins as well as migrant workers from Sub-Saharan Africa. Casualties mainly occurred as a result of the use of indiscriminate fire in densely populated areas. The neighbourhoods of Tayouri and Nasriya were particularly affected. Civilian casualties included an elderly man killed in mortar shelling of the Tayouri district on 21 April, while a woman and nine-year-old girl from the same family of the elderly man were injured. During clashes on 20 April, eight men including two migrant workers and three women sustained shrapnel wounds. On 23 April, three male migrant workers and another two civilian men reportedly sustained gunshot injuries in the area of al-Nasriya. On 2 April, two men and a woman sustained gunfire injuries when armed men in military uniform opened fire inside the Jumhuriya bank in Benghazi. On 18 April, a 16-year-old Syrian boy was killed and another three civilians, including a 15-year-old boy, injured in a VBEID attack targeting the Chief-of-Staff of the Libyan National Army, Abdul Razek al-Nadouri, in the area of Sidi Khalifa in Benghazi. On 21 April, one Egyptian man was killed in crossfire in Phoenicia street in Benghazi between members of al-Zawiya Martyrs Brigade and forces aligned to the Criminal Investigations Department. ERWs and other unknown explosives continued to claim civilian casualties in Benghazi neighbourhoods that have witnessed protracted fighting. Two men sustained shrapnel injuries when an unknown explosive detonated in a building in Wist al-Bilad on 10 April, while a man was killed by an ERW in al-Sabri neighbourhood on 25 April. On 28 April, a 12-year-old boy was injured by an ERW in the centre of Benghazi. Between 03 and 23 April, Sabha Medical Centre was hit by mortar shelling or gunfire at least four times, leading to material damage. The Benghazi Revolutionaries Shura Council and allies are believed to have been responsible for leaving mines and ERWs in areas of Benghazi they controlled prior to their retreat. UNSMIL was unable to determine with certainty which parties to the conflict caused the other civilian casualties caused by the ERWs in April. On 7 April, the remains of three siblings from the Shirshari family were found in a forest south of Surman. The two boys and girl were aged between seven and 12 at the time of their abduction in December 2015. The exact causes of death have yet to be established. On 7 April, a group of unidentified armed men, some reportedly in military uniform, shot at Sudanese migrant workers during a raid on stores on al-Zeit Street in Benghazi, leading to one death and two injuries among the migrant workers. Two men were injured by stray bullets, one in Benghazi’s al-Salmani neighborhood on 14 April and the other in the city of Tokara on 28 April. A migrant worker sustained a gunshot wound in the Benina area on 25 April. In the three incidents, the sources of fire could not be determined and there were no armed clashes in the vicinity. On 10 April, armed men in military uniform fired at a civilian vehicle near Kufra leading to the injury of a 12-year-old girl. They proceeded to steal three mobile phones from the victim’s car. The perpetrators behind the shootings remain unidentified. On 11 April, an unidentified male body bearing gunshot wounds was found in the Qurda area of Sabha. On 12 April, a man was killed and at least four others injured during a series of drive-by shootings in Sabha. The perpetrators of and motives behind the shootings remain unclear. On 19 April, unidentified armed men, some of them masked, driving in a Toyota four-wheel drive shot at a civilian vehicle on the road between al-Murada town and al-Aqila town in central Libya, resulting in the injury of a four-year-old girl. The girl was taken to the Ajdabiya hospital, some 150 kilometres east of Aqila, but she passed away on 22 April. In this case also, the perpetrators of and motives behind the shootings remain unclear. On 22 April, the body of a male with tied hands was uncovered in the area of Abu Surra in al-Zawiya. He was identified as a local Salafi imam, who had been missing for several months. On the same day, a 27-year-old man was shot dead at a traffic light in the area of Ben Ashour in Tripoli by armed men driving a civilian vehicle. The identity of the perpetrators and their motives were not identified. On 24 April, a Tebu patient was forcibly removed from the Sabha Medical Centre’s intensive care unit by armed men. The man was in recovery after undergoing surgery for gunshot injuries to his chest and abdomen, reportedly sustained in armed robbery in the Tayouri neighbourhood. His fate and whereabouts remain unclear. On 28 April, the owner of a vegetable stand was killed in crossfire between two armed men in the area of Zarouq in Misrata.